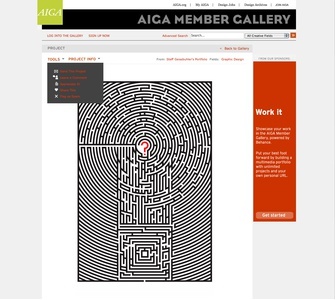 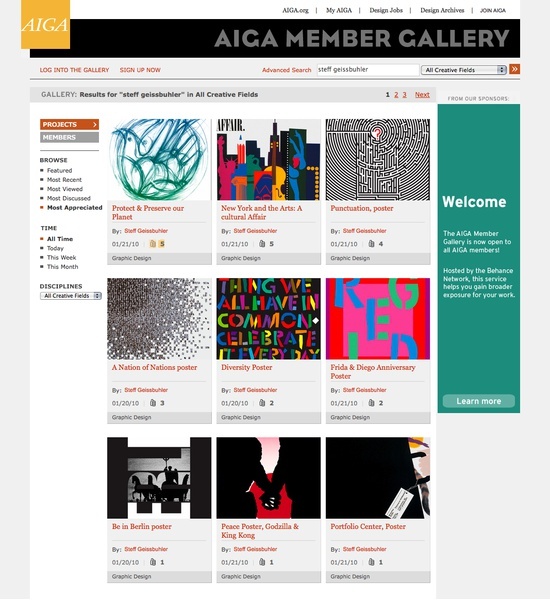 The AIGA Member Gallery is an interactive portfolio and collaboration platform used by the organization's membership. The gallery website allows members to showcase their work, helps them connect online and collaborate on new projects, as well as integrates networking functionality, such as emailing, sharing, commenting on and "appreciating" individual gallery entries. With these tools and features, the AIGA fosters a community feel amongst its members in an intuitive and informative interface. 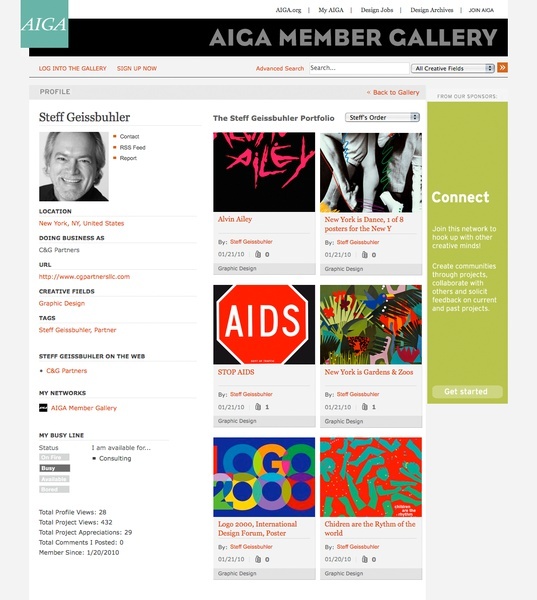 Only members can create portfolios, but anyone can browse the gallery.